Step out in vintage style. In her fabulous blog post ‘Get the 40’s look: 5 must have!’ … ( https://www.darlingleglam.com/get-the-40s-look-5-must-have/ ) Giada @DarlingLeGlam rightly identifies stockings as an essential component of ones vintage ensemble. Giada also rightly suggests that stockings should be accompanied by the right foundations. Although there are many online retailers; where one is able to procure vintage style lingerie, bricks and mortar boutiques are virtually non-existent…with ‘What Katie Did’ and their London and Burbank, California boutiques being the most notable exception. However all lingerie of a certain quality; even that of a contemporary style, is far from inexpensive. Stockings are able to provide that desired vintage feel at a comparatively ‘reasonable’ cost; not forgetting that a suspender belt, girdle or similar undergarment will also be required. “@Rations2R_n_R has a love of vintage style fashion and favours stockings as part of our retro ensemble. Stockings have had somewhat of a renaissance in recent years. We would love to hear your thoughts as to why this is. To be truly authentic stockings should be seamed and made of nylon; such as from www.whatkatiedid.com (link below *). Fully Fashioned Stockings Cuban Heel H2034 made in the UK from 100% non stretch nylon on vintage Reading knitting machines. Sheer 15 denier nylon, with sewn seam and finishing loop. Priced at £22.50. For those that would like to achieve a vintage style look whilst enjoying the comfort of modern stretch stockings. From www.whatkatiedid.com (link below **). Seamed Stockings Nutmeg Black Glamour H2053 with a contrasting point heel and seam, and wide, comfortable welt. Sheer 15 denier, made from a blend of stretch nylon and elastane for ease of fit. Made in Italy. Priced at £10.00. Our blog post ‘She is clothed in strength and dignity’ featuring guest blog Giada @DarlingLeGlam ( https://rations2rocknroll.wordpress.com/2017/11/13/she-is-clothed-in-strength-and-dignity/ ) covered fashion, since the 19th Century, and it’s part in the emancipation of women. Stockings are part of this history with the 1960s seeing Nylons cast aside in favour of tights. “@Rations2R_n_R. Stockings have made a resurgence over the past few years. How do their sales compare to hold-ups and tights? Many of our vintage style sisters regularly compliment their outfit with seamed stockings; adding glamour and sophistication, and empowering the wearer. Join us and step out in vintage style this party season. @DarlingLeGlam may be found at https://www.darlingleglam.com/ . @Rations2R_n_R neither owns the copyright to the images nor much of the written content included herein. We use our blog to showcase retro and vintage fashion and, where we can, credit the copyright owner of any content by way of a link to their website. 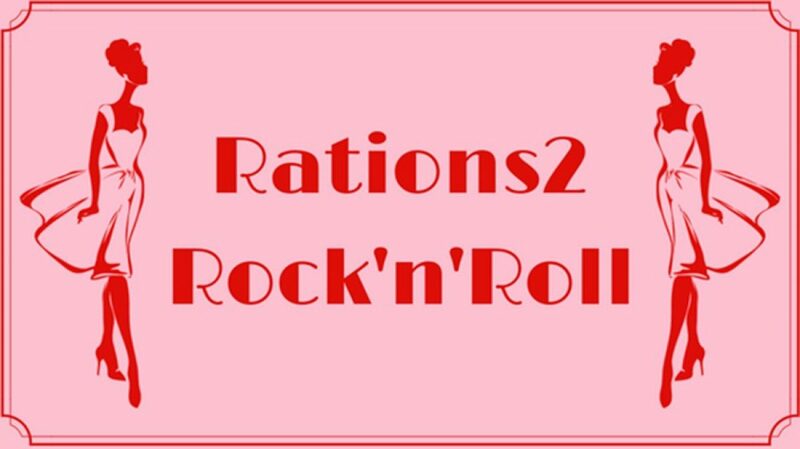 Please email rations2rocknroll@outlook.com if you are the owner of any content included and would like us to either change or remove anything that we post. Previous Previous post: First I look at the purse. Next Next post: Sherry can you come out tonight?